The NEW Rostock MAX v2 has the largest build envelope of any printer under $1,000! This printer is comparable to $3,000 printers in functionality, capability, and accuracy. This machine is a favorite for our print services team because of it's laser like accuracy. Please note that you will be shipped a black kit unless you request a white kit after purchasing. Our technicians love this machine because of its incredible accuracy, low layer height, consistent performance, and ability to deliver on every print job. This printer is a Delta style printer so it excels exceptionally well at printing any kind of arch or circular shape (you can't beat a delta for this kind of task). Additionally, this printer has a truly MASSIVE print volume of over 1300 cubic inches (11" Diameter by over 14 1/2" height). This is the largest print volume of any printer that we offer and one of the largest available in the consumer 3D printing market. Basically the Rostock MAX v2 printers are workhorses and can handle any task you put them up to. All SeeMeCNC Machines are proudly made right here in the USA. As soon as this printer is assembled you can print in strong industrial grade materials like Nylon. 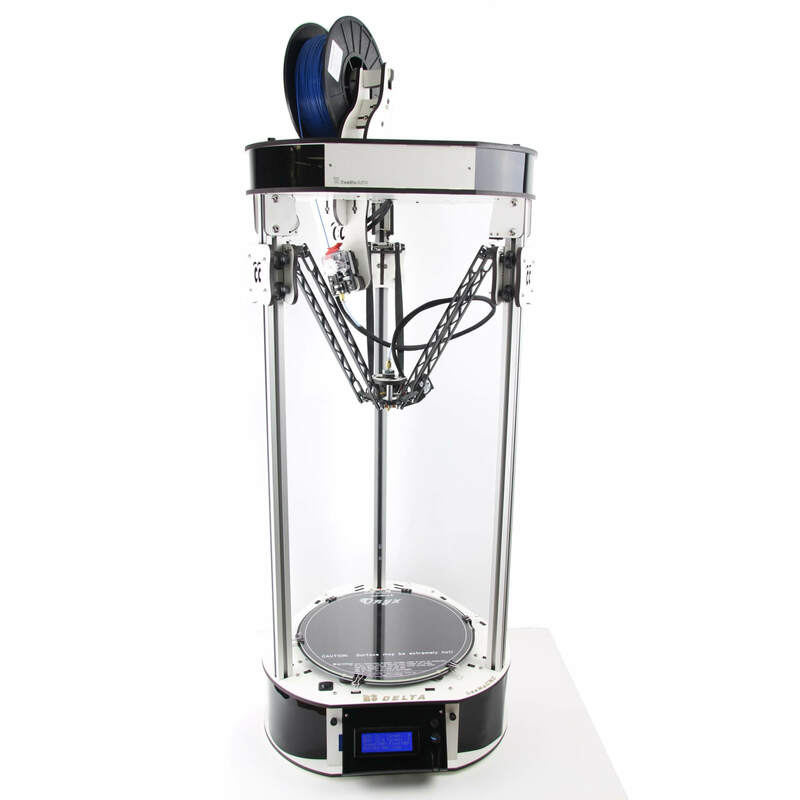 This printer is great for industrial projects and prototyping. Enjoy the incredibly simple and efficient EZStruder as well as SD Card-ready firmware. If you like to tinker and upgrade this is the printer for you. 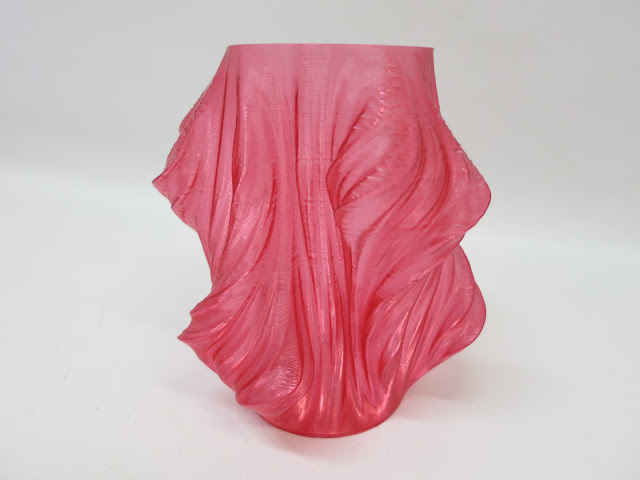 You will find that a strong tight knit community of Rostock MAX owners exists online where everyone shares tips and tricks for maximizing their prints. 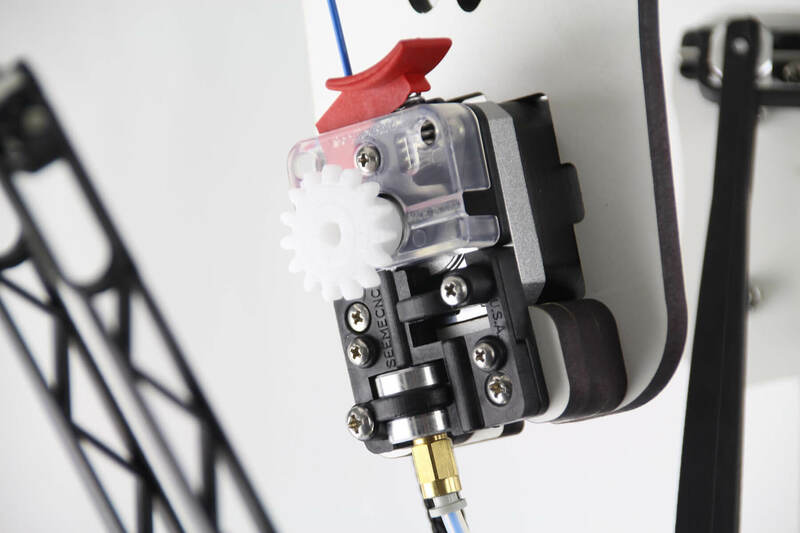 Rostock owners are passionate about 3D printing and about making and tweaking! This is a powerful machine and it is unmatched in its price category. 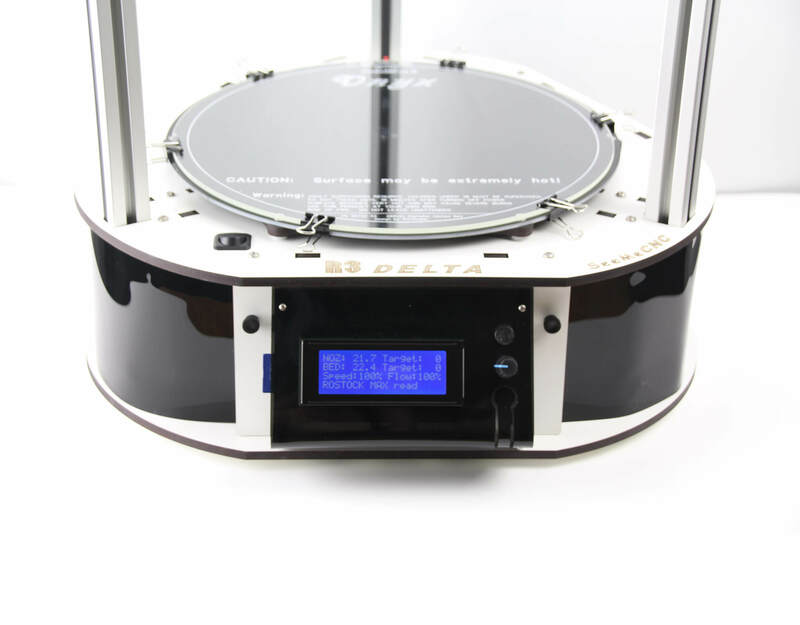 The advantage of the delta design is that your print never moves, because the bed never moves. Only the arms delicately and miraculously move around the part until something beautiful and functional is created. Because this machine is so modifiable, you can buy an additional EZStruder and you can make your Rostock a dual extruder so you can print two materials at once (fair warning it does require some tinkering and is still experimental). Quality and community are the name of the game with SeeMeCNC. The quality of the printer with the gigantic print build you get for less than $1,000 is simply unmatched anywhere else in the 3D printing industry. Once you assemble your Rostock MAX v2 you become part of the brotherhood (or sisterhood) of Rostock owners across the world. These owners have one of the most active communities online today where they actively share prints, advice, tips and tricks, and loads of step by step guidance for customizing your Rostock MAX. 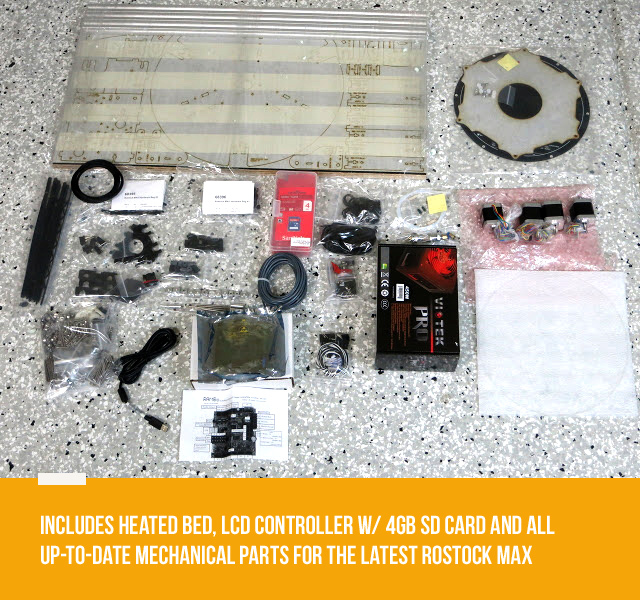 The reason that this community exists is because Rostock owners are passionate makers and builders. Additionally, you earn your place in the community by successfully assembling your Rostock MAX (since it takes about 20 hours to assemble). 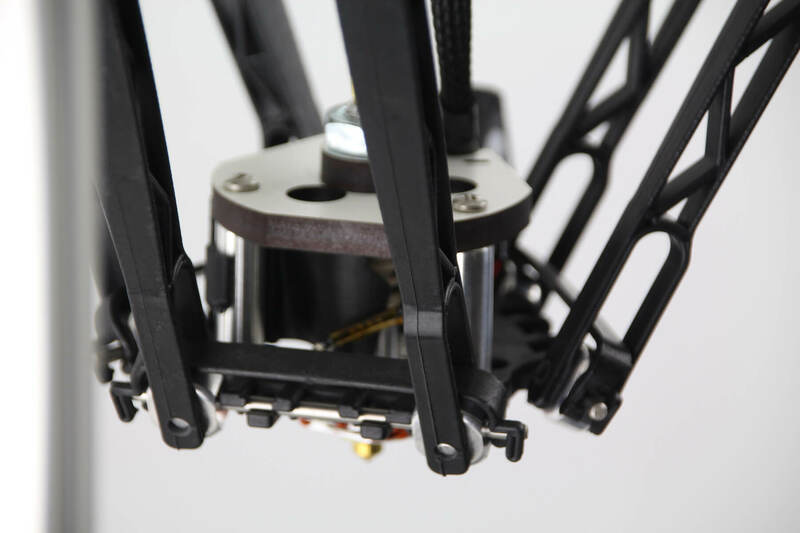 However, the good news is that the v2 has been enhanced and modified by SeeMeCNC so that it is much easier to assemble from earlier versions. 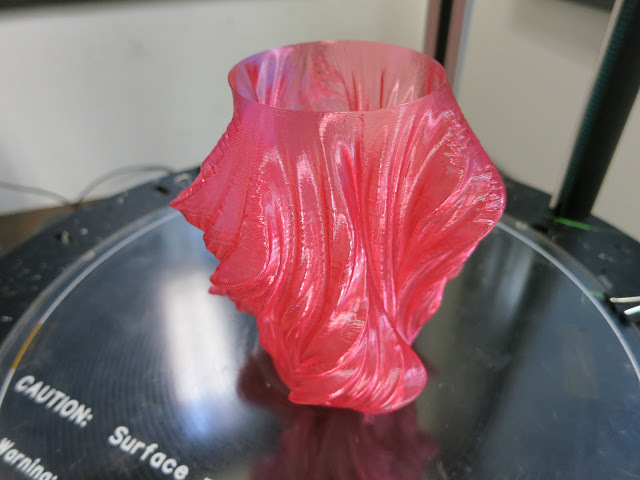 Check out the vibrant and transparent vase that we printed on the Max V2 using the new Red Taulman t-glase. As you can see, the object is very glass like and allows a great deal of light to pass through. So What 's Changed with the New v2? ?? No more sanding because of re-designed hot-end platform and Delta arms and mounts for worry free assembly. ?? Top mounted spool holder shortens length between EZStruder and spool, and minimizes machine footprint.